The fully accessible kitchen includes accessible ovens (with pull-out cooling racks), which allow users in wheelchairs to easily cook and bake. 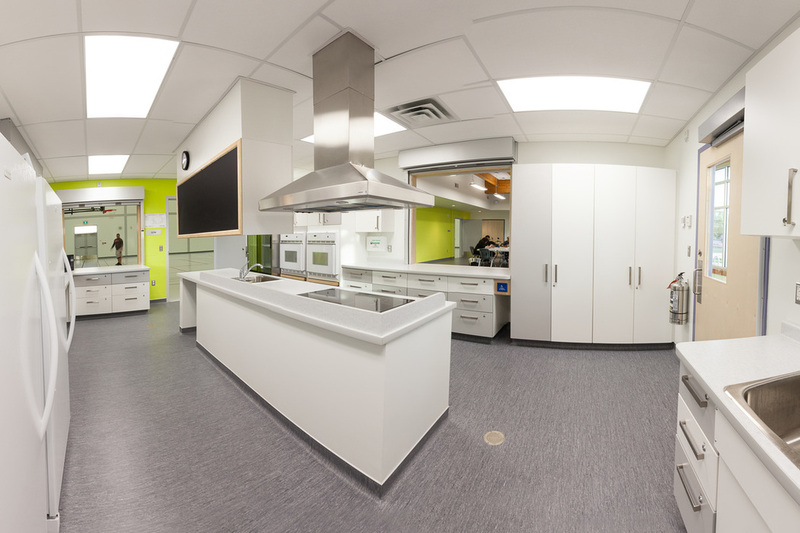 An exciting highlight of the community centre is the accessible kitchen. With all counters, sinks, cabinets and appliances (including the oven) designed to meet Winnipeg Accessibility Design Standards, the kitchen can easily be used by community members of all abilities. 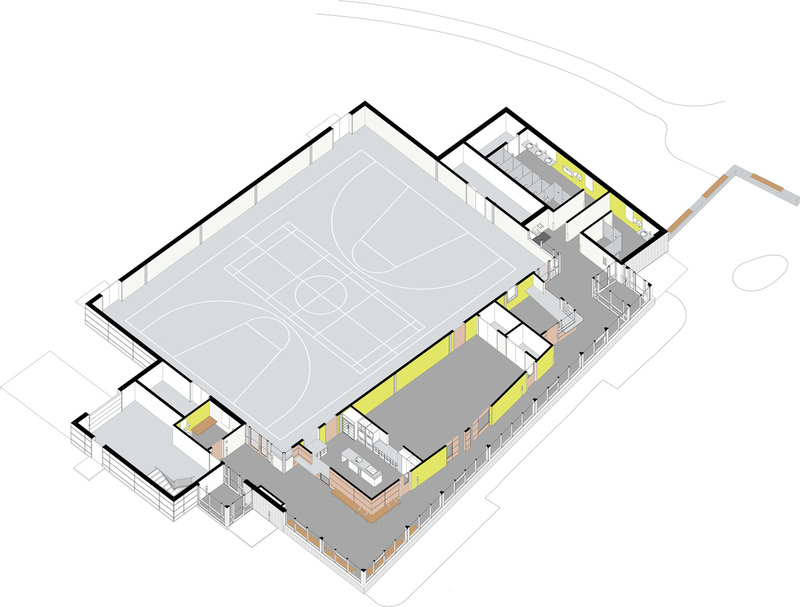 As a whole, the East Elmwood Community Centre was designed around making all aspects of community life accessible by allowing all visitors -- regardless of their levels of mobility -- to immerse themselves in the activities of the building and surrounding grounds. This was achieved by organizing the building around the wide corridor, which connects visitors entering from either end of the building. The addition of built-in benches and generous glazing creates a warm and luminous environment that acts as a natural public gathering space. The wall of glazing also creates a strong visible connection between both indoor and outdoor activities. 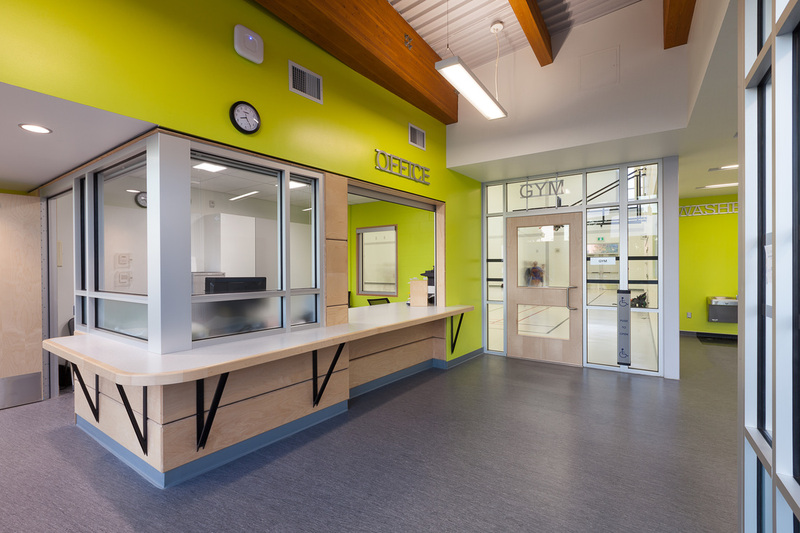 Visibility was integral in the design of interior program spaces -- not only to help provide a sense of community, but also to create a safe environment easily monitored by staff. Through the strategic use of glazing, the interior of all main rooms are visible from many different locations. The East Elmwood Community Centre is built around a wide, luminous public corridor, which connects both entrances to the building and acts as a natural gathering space.